Wouldn’t it be cool if you could speak to your car and to get the status or information about anything? While we may not be able to have a meaningful conversation with our car just yet, it’s now a possibility to talk to your car and request for desired information. We are here giving a short introduction to how this can be accomplished using the Letstrack AI system. With the help of Google Assistant, it will be like an active voice software for your car and thus the requests you give your vehicle once executed the request can feel like you are in Knight Rider. It has registered itself as the World's First Voice Integrated Vehicle Security Company that will help you know the status of your vehicle and know about their accurate location. With Google Assistant you can now easily track your vehicle and the people sitting in that particular vehicle. Apart from this, it will be easy to know about the accurate status of the system working in your car like ignition, air condition if it’s properly working or it is on/off. Sitting wherever it will be easily accessible for you to know about your car’s speed limit and you can very easily control it and also it sets your engine off or on according to the requirement. Not only this, Letstrack AI with Google assistant has made easy for one person to know the correct time of reaching the destination. Earlier we use to search anything on Google by typing but now it’s easy to just speak and instruct the vehicle and it will work according to your wish. 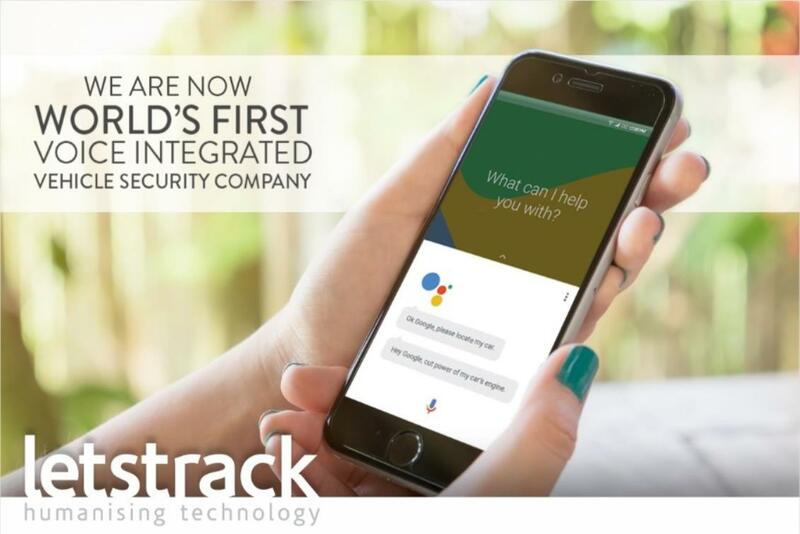 Letstrack is a successful Real-Time GPS Tracking & Messaging app to track your loved ones. You can track your loved ones and automobiles like cars, bike, and van with a voice integrated GPS tracking solution. By using this new innovation you will get a lot of amazing experiences that you always thought of having associated with your vehicle. A public transportation system is the backbone of a country’s economy. Nothing runs smoothly if the traffic is untamed and unorganized. Be it for monetary gain of the governments, or for the convenience of residents; public transportation systems should run without hiccups or long delays, offering safe and secure movement for the public. AIS 140 is an intelligent transport system that is a new addition for AIS. The intelligent transport system is a much-needed requirement in the world of vehicles. The vehicles on the road are increasing day by day and therefore there is a need of government set of rules which contains the emergency and safety standards that need to be implied in all types of public transport systems. These include all types of rail, road, air & water transportation modules to be fitted with AIS-140 GPS tracking devices. There are two types of AIS-140 requirements in a GPS tracking device – one is the emergency button & other vehicle location tracking. Letstrack AIS 140 GPS trackers also have all the features of general GPS trackers such as real-time location tracking, AC on/off, fuel detection, engine off/on, speed alert zone alert, etc. When a vehicle is towed due to any reason the AIS 140 Certified GPS sends alerts to the fleet manager/owner and the driver, so they can take action the required action before it is too late and the vehicle is towed; though this applies mainly to light commercial vehicles. Who Needs Letstrack AIS 140 GPS Tracker? Track not only vehicles but people as well - Most people assume GPS tracking devices can only be installed onto trucks, taxis, buses, cars or other four-wheeled vehicles. That used to be the case. There are modern-day versions that are battery-powered and can be used to record trips of vehicles or trips of people (walking or taking public transport). Sales people traveling out-of-town, to other states/provinces or even to other countries. They generally travel by plane, by boat, rent a car, or some other means of long-distance transportation. It's cheaper than you think - Most business owners and managers are familiar with GPS trackers and assume that these are expensive and require monthly subscription fees. Most of the people do not know that there are GPS trackers that have no monthly fees. Basically, you just buy the unit and that is it! You can use it forever. Cost for a device has also gone down considerably over the past years. At present, they are about on the same price as a moderately priced Android phone. Every business owner and manager tries to keep expenses and purchases as lowest as possible. And that makes good business sense. However, keep in mind that staffs 'not working' when outside the office will cost you much, much more in the long run. Delivery people will complete fewer deliveries per day every day. Return of Investment for a GPS tracker can be achieved, typically, in three months’ time. Through increased productivity, your GPS tracker will pay for itself within 3 months. 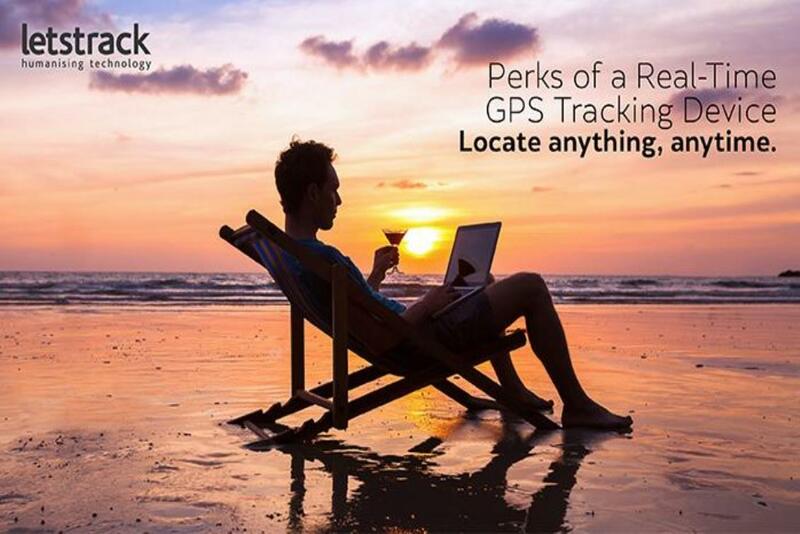 After 3 months, all the benefits you gain from using a Letstrack GPS tracker are virtually free. There are many more reasons why GPS trackers would be beneficial for almost all businesses. But the two reasons stated above are the more general ones. If you are a business owner or manager, make it a point to know what's happening within your organization every day. In today’s time safety and security is what every individual wants whether you are working or staying at home whether it’s for your safety or about your loved one for that you can find a portable GPS device to track them at all time. One thing you should know about GPS trackers is to find the kind that does not permit others to track you. Picking up Letstrack GPS device can be a key to know where your loved one is and where to go when driving. Global Positioning System (GPS) is the basic global positioning system that allows you to locate areas you need to know before going. If you go to other places, you will get the help of a GPS device. The directions can be direct to the exact location you want to know. If you get an audible GPS, it can tell exactly where to go. Although a lot of trackers be a bit off on the turns, that can be fixed with the help of Internet updates. Letstrack GPS devices contain a wireless Internet that keeps them updated time to time with the latest traffic and new construction in that particular area. When you decide to get a GPS, you must look into the trend that just comes out. You will get to know about the modern technology and will get exactly what you looking for. The modern traveling gear starts with the GPS tracking solution. When you get your very own, you can put them on your belt or even on the steering wheel, which offers you easy access to the GPS tracker. Portable GPS trackers help you to track your kids at a number of places and offers peace of mind. You can use device for tracking school going child, to track your teenage driver, during the visit to shopping malls, at large parks, airport, fairs, during holidays and many other crowded places. Choosing a right GPS device is must as we cannot take safety for our loved ones easily.Try Letstrack GPS devices by calling us for free demo at 7827822000. Portable GPS tracker help you to track your kids at a number of places and offers peace of mind. You can use device for tracking school going child, to track your teenage driver, during the visit to shopping malls, at large parks, airport, fairs, during holidays and many other crowded places. Choosing a right GPS device is must as we cannot take safety for our loved ones easily. Try Letstrack GPS devices by calling us for free demo at 7827822000. What is GPS tracking? The safest platform which keeps you update about your loved ones and your beloved pets no matter where they are or how far they are from your reach. For instance, if your car was stolen, but equipped with GPS tracking, the authorities could use your GPS tracking to get the exact coordinates or location of your vehicle. Although GPS tracking is nice, there are some individuals who can benefit more from having it than others. One of those individuals is business owners, particularly those who run a freight broker business. If you run a freight broker business, it is your responsibility to get your client's goods from one location to the next. In the event of an accident or theft, your client's goods may not make it to their intended destination; however, GPS tracking can make it easier to do. 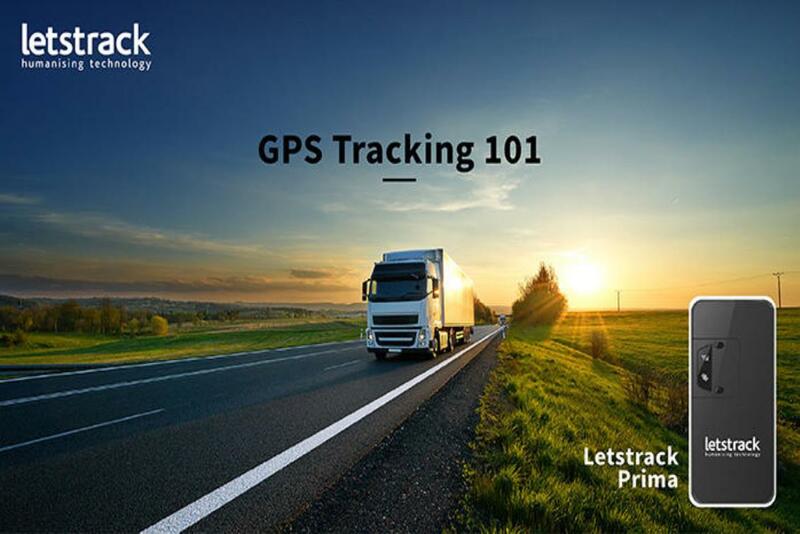 With Letstrack GPS tracking, you can know exactly where all of your drivers are, at all times. This is almost always guaranteed to make your business run more smoothly. GPS tracking on cell phones is good, but to be effective, you must make sure that you carry your cell phone with you at all times. If you have GPS tracker installed and activated in your vehicle, it could assist you if we're ever to break down. The authorities or your family could tell where you were if you have your GPS tracking equipment activated. This is particularly helpful if you and your vehicle became disabled to the point where you couldn't seek help yourself. If you are the parent of a teenager, you may want to think about having GPS tracking equipped installed and activated in their cell phones or their vehicles. With teenagers, you can never be too careful. They, unfortunately, do not always think through all of their actions. Even the most careful of teenagers can be the target of a crime, like kidnapping or auto theft. GPS tracking on cell phones and in a vehicle may one day help to save their lives. The above-mentioned examples show the benefit of having Letstrack GPS tracking device installed, either in vehicles or cell phones. If you are a business owner or just a regular citizen who wants to stay on the safe side, you are urged to further call us on 7827822000 for a free demo. In today’s busy and fast life everyone seeks for a safe and secure lifestyle. Everyone needs security and a safe environment where they can keep their loved ones safe and can lead a happy life. Keeping in mind to give us a safe aspects of living Letstrack GPS Tracker has played a vital role in our life, if today we feel secure and safe at any places or can go out without any worries just because there is someone who is working hard to provide us with that safe life and that is none other than the GPS Tracking device. What you want to know is who the right companies for your requirement are? For buying something like a vehicle tracking system is to make sure the organization is providing a complete system that suits your needs. Not all vehicle tracking systems are appropriate. For example, if you want a GPS tracking system for your car, you don't need to purchase a GPS fleet management system as those are for large trucking and logistics companies. If you are a customer and are wanting to track a teen driver, for instance, you want an easy to use and easy to install GPS system, these are GPS devices that can be installed in a glove box, under a seat or they can be put into special waterproof magnetic cases and installed under the hood or just about anywhere under your vehicle. You also want something so simple that you can track the vehicle from any smart phone or internet based computer. For organizations looking to track fleets of vehicles, there are also a lot of vehicle GPS tracking devices like Letstrack GPS Tracking device, which can not only be used to track a stolen vehicle, but also to monitor productivity of employees, and protect companies against time sheet fraud. These are great tracking devices that can be useful for any business with mobile workers. There are also other applications for GPS tracking that include tracking people. They provide similar technology but their tracking systems are very different as well as the cost! Believe us and call on 7827822000 for a free demo. More and more businesses are finding a use for GPS trackers, these days they are habitually fitted to public transport systems, taxis, and fleet vehicles. Their installation has revolutionized postal and courier services and emergencies are better managed when tracking devices are in place. The future will see an increase in the use and services offered as a result of the technology. As the units get ever smaller and the cost increasingly cheaper they will continue to be a powerful tool in the business community. As the trackers become smaller it will be easier and more comfortable for people to carry tracking systems, easing parents worries about their children and allowing people to better keep an eye on elderly relatives and wayward pets. The GPS market is definitely an expanding and innovative one with new developments painting an exciting future for all. Whether it means more reliable business services, better communications or increased personal safety the next generation of GPS trackers are likely to continue having an impact on our everyday lives. At present there is still a novelty value attached to GPS systems, however, it will not be long before the majority of people are carrying a tracking device or using a tracking device on a daily basis. 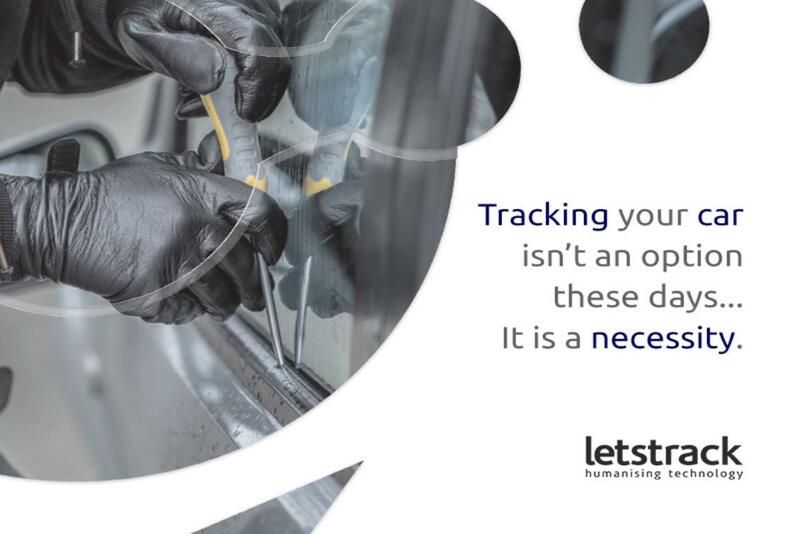 Whether it's your cars navigation system, mobile phone or the bus you take to work we will all, somehow, be using tracking devices, helping to make our day run more smoothly. Letstrack GPS Tracking devices plays an important role in our lives as it makes us feel secure and we feel relaxed about our personal belongings and people. At present when there is so much crime happening all around one should be very vigilant and attentive towards their valuable assets and loved ones. Makers of GPS tracking devices understand the importance of GPS Tracking devices in our lives and also understands as how important is it for the people we love and care. Call us at 7827822000 for a free demo. In today’s fast life one needs to be assured about the security of their loved ones and about their valuable things, for that the solution is to have GPS tracker installed where ever required. The best solution is to install Letstrack GPS Tracker which gives you that assurance. Our aim is to provide consumer best services in terms of security and keeps them free from all worries. This is a great help for business owners who require timely information on deliveries and work orders. It also allows the supervisors and managers to know the locations of technicians in the field in order to coordinate a logical route when changes occur. In some cases, insurance companies will offer discounts to companies that track their fleets via GPS. The managers can be notified by a computer when a certain vehicle is exceeding the speed limit or when there is a drastic change in the engine's rpm's that might indicate reckless driving. If the employer makes a disciplinary policy covering such abuses, the GPS tracking will help keep the roads safer and reduce the risk for a claim on the insurance. Devices such as Letstrack GPS Personal Tracking allow parents to monitor the speed and location of their children and even can be programmed to notify them if the child goes to a pre-programmed 'off limit' location. This technology will make sneaking out a thing of the past. To take this tech just a bit further and we have biometric GPS.For a person with disabilities, severe allergies, or other medical conditions this bracelet stays in contact with the skin of the wearer and monitors vital statistics as well as location. All of the information can be accessed remotely and an alarm can be sent if necessary. There is even work being done that will allow a GPS tracker in the form of a micro chip to be implanted under the skin of humans in order to accomplish many of the above tasks.GPS is truly an amazing technology of which we have just scratched the surface. Call us at 7827822000 for a free demo. How much distance your employees have travelled today? Where are they right now? Were they active or inactive today? Did they adhere to their beat plans? Did they make the visits they were supposed to complete? Letstrack GPS Device answers to all these questions. Millions of data points, simplified so that your organization can grow with access to the right kind of information at the right time. GPS tracking offers numerous advantages that can help business reduce costs and improve productivity. That often makes them much more competitive, an important component of success in today's business world. GPS tracking for employees gives managers the information that they need to take control of their workforce and helps them make informed choices. 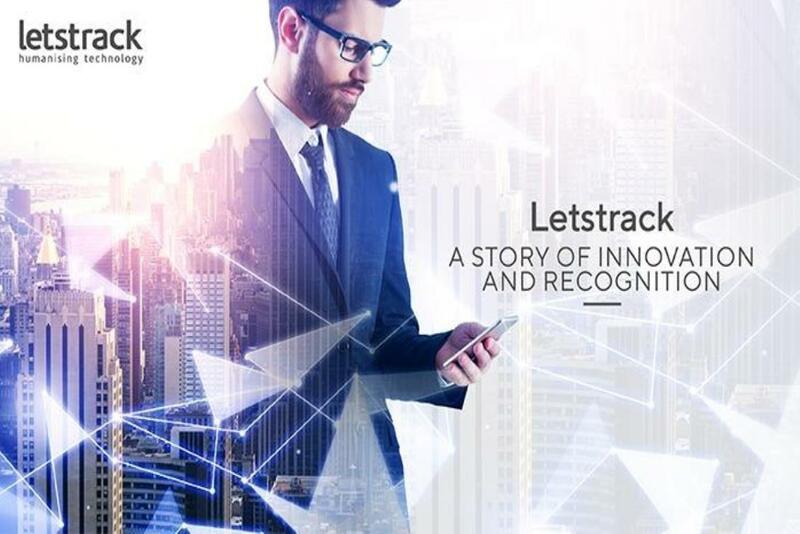 Letstrack GPS system enables with the feature of real-time tracking. That helps managers make informed choices that will benefit the company's success. Whether you manage a retail store, a shipping business, or any other kind of company that requires several employees, GPS staff tracking can make your business more competitive. When you reduce costs and improve productivity, you can keep prices down for your customers without losing profits. That means you get a better reputation that will attract more customers. GPS tracking can’t stop the theft of anything but it can help to track and recover the lost one quickly. GPS’s geo-fence and real-time location tracking feature help to recover the stolen assets, fleet vehicles etc. You can send the required information of stolen assets to recovery authorities i.e. police or insurance agency. 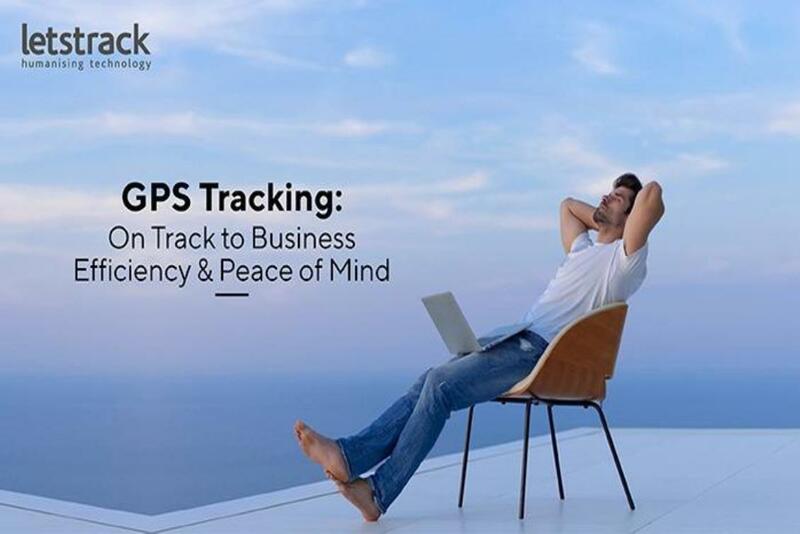 GPS tracking helps you to monitor businesses and assets 24x7 without skipping. You will get the time to time updates without any effect of weather or season round the clock. You just need to install the GPS tracking devices in tracking vehicles and have tracking software with the Internet connection. You can improve customer’s satisfaction, monitor field executives, track the location of vehicles, and drivers. They can be used GPS trackers as watchdogs for assets protection. The beauty of GPS tracking lies in the fact that it helps people lessen some of the anxiousness, concern, distress related with loved ones and valuable assets. Parents can monitor their kids’ location when they are out of the home. You can also track how far your driver has taken the vehicle to leave office or home. In the same way, GPS trackers help business managers/owners keep track of their employees if they are installed with the responsibility of an organization’s vehicle. GPS fleet tracking can be very helpful for heads to keep track they are using an organization’s bike or car. GPS tracking provides peace of mind in various ways in daily life for personal and business uses. You can track your school going kids, parents, pets, etc. when they are not around. You can track your vehicle as well as driver and know where it is and what is going on inside the vehicle. You will get speed alert, zone alerts, route of the vehicle, AC on/off etc. You can monitor driver’s behavior on driving like hard braking, excessive acceleration, aggressive cornering, working hours, misuse of the vehicle, and train them to improve the bad habits. GPS Tracker is working properly and will guide you the exact location of the person and vehicle.GPS tracker’s real-time location tracking feature helps you to track the location of vehicle and driver and tell him for next job near to him. If you want to know where your fleet vehicle is all the time, then you will have to look for a GPS tracker’s featuring real-time mapping. GPS also guides drivers to locate the required destination and the best route to reach. GPS helps you to monitor and improve the existing businesses and stay competitive. 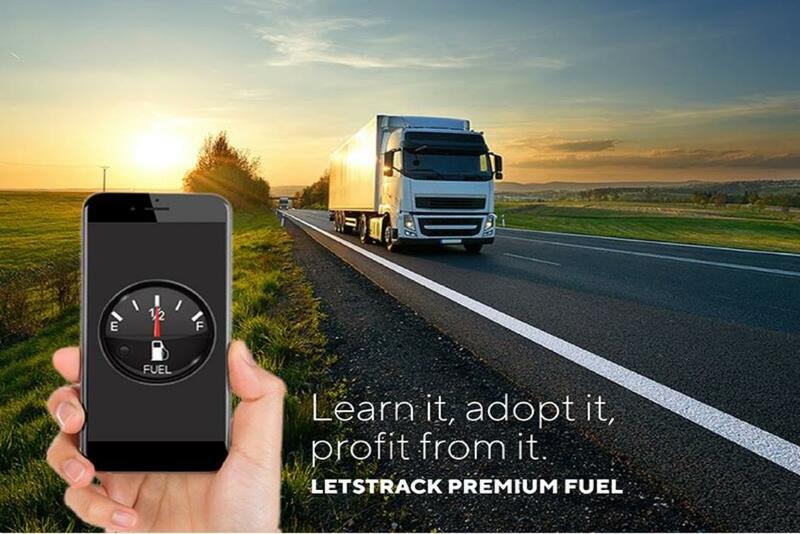 You can improve fuel uses, revenue of the organization, behaviour of drivers, and many more. Precautions are better than a cure!! Today everyone depends on technology in daily life no matter it is for personal or commercial purpose, for example, mobile phone, Internet, Television and so on. Technology not only has saved our time and money but also has automated a lot of things. GPS tracking is a technology that is the combination of Internet and hardware device. Nowadays GPS tracking solutions are available for personal tracking. You can employ these devices for tracking kids, parents, pets, loved one, cars, bike and other costly assets that you want. Personal trackers have two important traits - Real-Time tracking and Emergency Alerts. 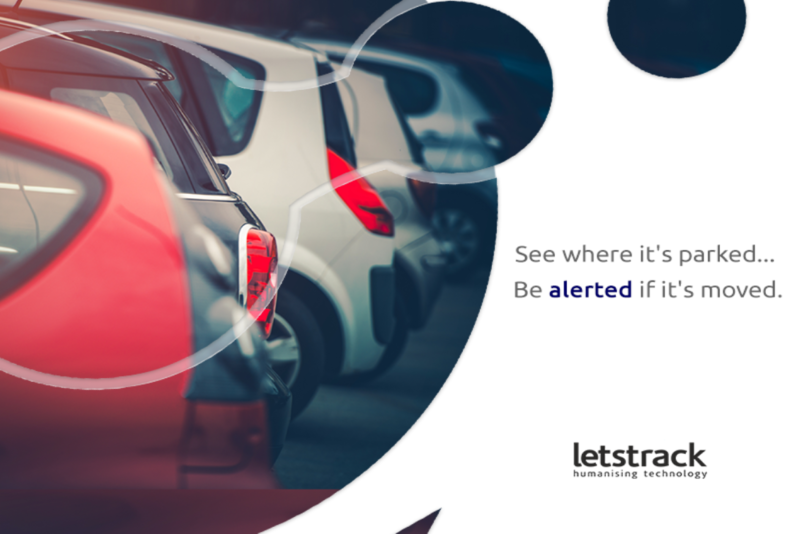 Help in the safety of drivers, vehicles, and people: Letstrack GPS tracking helps you to implement and improve the safety of your vehicles, drivers and people inside the vehicle and outside on the road. GPS offers lots of alerts such as speed, zone etc. to you as well as drivers. Help in optimal route selection: You can get the best route for your destination with the help of GPS trackers. Letstrack helps in analysing the route on the basis of various platforms as traffic signals, distance, traffic jams, etc. Apart from these benefits, GPS tracking solution also has many other benefits for businesses such as maintenance automation and alerts, zone alert, speed alert, towed alert, AC on/off alert, engine on/off, and so forth. So, by installing the Letstrack GPS solution, you will get sufficient ideas about the happenings in coming time with your business as well as in personal life. Safety of self and belongings is the main concern for everyone in the present time. Development in technology has no doubt created more comfort and convenience in daily life but has also posed threats to the lives of people. It is not surprising to find that your newly bought expensive vehicle is stolen from the street where you parked it, or some stranger got into your house and tried to run away with your valuable things by threatening you with a gun or a knife. You need to be well equipped with self-defense equipments and GPS tracking solution to protect yourself and your belongings. Letstrack GPS tracking system has become advanced a lot from last some years. GPS trackers are now available in various shapes and sizes with several features, from standard GPS tracking devices to computer USB attachments to mobile phone integrated devices. • The organization with large shipping fleets needs to know the location of service vehicle at any time. From this purpose, the idea of using the Global Positioning System (GPS) to track and monitor fleet vehicles developed. Most GPS tracking devices work by using GPS technology. • Businesses like cargo, ambulance, taxi etc. that run on the wheel get great help with the use of GPS in managing, route analysis, maintenance, fuel cost cutting, speed alerts, and so on. We can say Letstrack GPS tracking systems work as CCTV cameras today that can track moving as well as fixed objects. Letsrack is leading GPS tracking devices provider UK based company in India. It offers various types of GPS trackers for personal as well as business needs. Get Freedom from Vehicle Theft and live peacefully!! Vehicle theft is a harsh reality of every country/city/town & no one is an exception to this. It could happen with anyone anytime. Do not be a victim- fight back with the installation of quality protection such as ignition cut off, ICAT, car alarm and so forth. After all, your vehicle is probably one of the most costly things you own, and for many people, it is also crucial for the completion of regularly scheduled obligations. Anti-theft Vehicle devices are important for the organization that operates the fleet, cargo, ambulance & etc. Manual vehicle tracking for fleet businesses is very time consuming, also tough to manage; detection and recovery of a lost vehicle is a challenge on a different vehicle. There are a lot of ways to prevent vehicle theft in the present time and with the help of Letstrack GPS tracker, it's easy. 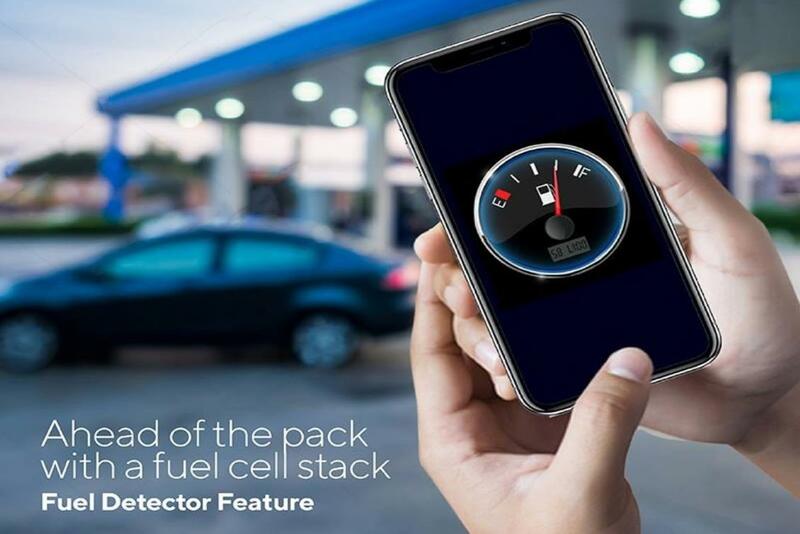 The device offers a number of valuable features such as real-time, vehicles and drivers tracking, location tracking, route analysis, fuel cost cutting, and so forth. Use of GPS tracking can’t stop the theft of vehicles but it can help to locate the lost vehicle, ensuring faster recovery of it. Towed alerts and real-time location tracking features of GPS trackers have come in picture when they are used as theft protectors. If a Letstrack GPS device has been already installed in the stolen vehicle then tracking and recovery will become very easy. After getting sufficient information, vehicle recovery officers use a GPS device to pinpoint the last known location of the stolen vehicle. Police determined the vehicle was currently on the move. And policemen will locate the vehicle in very less time travelling down the road. They use the GPS tracking software or App and track the vehicle with the help of hardware device already in the vehicle. 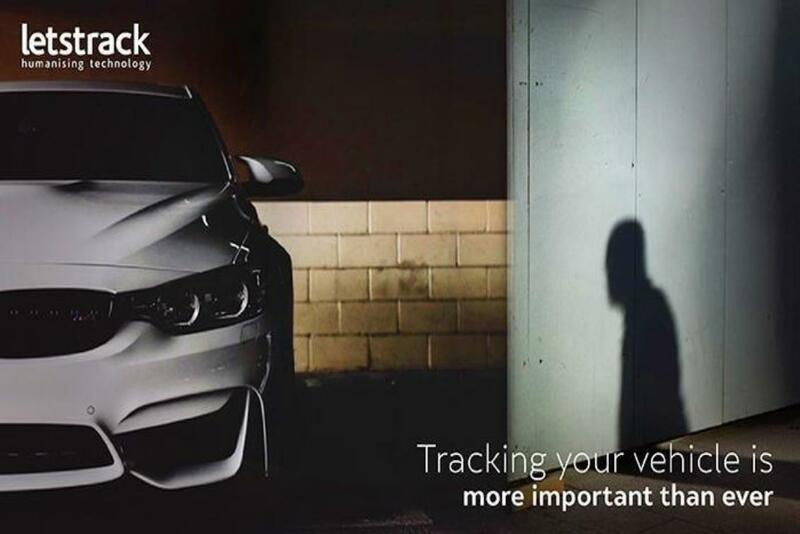 So, if you are looking for vehicle theft protection then you can choose Letstrack GPS Tracking Solution. They are available for personal and business uses at an affordable price in India. Track before It’s Too Late!! GPS tracking system is a way of working out similar where something is. A Global Positioning System tracking can be used to track any object in the world with some distance restrictions. It is useful for both personal as well as business purposes. GPS tracking system is comprised of two things one is GPS tracking device and other is tracking software. GPS devices should be embedded in the tracking object and software or app is used in smart-phone or desktop devices for tracking. You just need the Internet connection to use GPS trackers. In present GPS trackers are available in various shapes and sizes. GPS tracking has a lot of features for business and personal uses. Some of the main features are real-time location tracking, route analysis, maintenance tracking, and automation, driver’s tracking, towed alerts, speed alerts, zone alerts, Engine on/off, AC on/off and so forth. For personal purposes, you can use GPS trackers for tracking kids, pets, parents, cars, bikes and other personal things that are valuable and useful for you. Personal trackers are easy to fit in various parts of the body like the hand, neck, and so on. You can get useful information like real-time location, movement and many more. GPS tracking device also has an emergency alert feature user can tap on the device and you will get the notification. For commercial purposes, GPS trackers are available for small to big businesses. There are a lot of features of GPS tracking for businesses such as fleet management, employees management, staffs tracking on-field job, vehicle tracking, drivers tracking, theft protection, maintenance automation and tracking, help to improve customer service and satisfaction, route analysis, fuel cost cutting etc. GPS tracking system is most useful for big businesses and fleet businesses. The small, but powerful, GPS tracking device gives owners/managers the capability of tracking their vehicle or fleet all from their home, office or anywhere all over the world. They can save time and money by using GPS tracking. So GPS tracking system gives you several advanced things like pre indications, automation, and real-time information about loved one and business. If you are not using GPS tracking you need not to wait anymore. You can get detail about GPS and its features at ww.letstrack.in or you can schedule a free demo for more. Why Assets Tracking is Important for a Business? 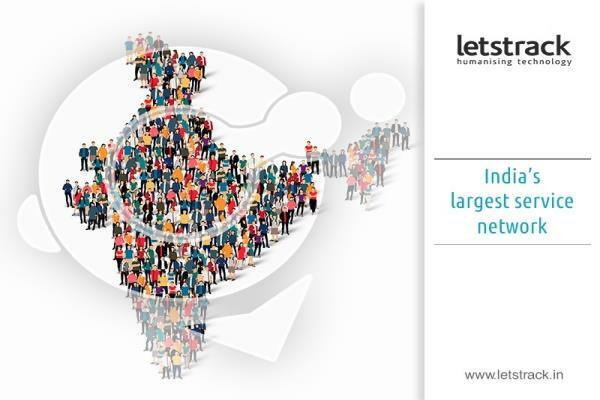 Businesses are growing at a rapid rate in India. People start a business and hope to get a high ROI as much as possible. To get a high return over investment managing a business in a proper way is the must. For start-ups and small businesses managing is not a big issue but in case of big businesses especially fleets businesses managing is a headache for owner/managers. This is where asset tracking comes into play. Automated remote asset tracking is gaining widespread adoption in all businesses. With a proper asset tracking solution in place, businesses can get deeper information about their assets and operations, know about asset health, maintenance, availability, productivity, and location; all of these accessible to them from a single point such as web-based software or mobile App. These solutions can maintain an accurate record of all the active assets and eliminate all the ghost assets, so giving a clear picture of how assets are utilized in each process. In present days, almost all the businesses that rely on assets to get things done can benefit from a properly implemented asset tracking solution. Not only tracking of assets, but asset tracking in industries also helps the owners and managers in various ways such as cut down expenses, maintain the accuracy of daily operations, improving customer service, customer satisfaction etc. So for a business, knowing the working and need of asset tracking is crucial. Some important points are given below about asset tracking. Asset tracking is a big issue for big companies and fleet businesses. Watch over each and every asset is time taking and very tough. In present, you can take help of technology and internet to do this. GPS tracker is one of the best options to overcome the assets tracking issue. You just need to install GPS tracking devices in assets and can monitor all of them at one place by using web-based software or mobile app. It also helps in other situations like if an asset is lost you can recover easily it with the help of GPS tracker. Good customer service is one of the prime factors to run the business smoothly. Customer service can be improved to a great extent by using asset tracking by providing the exact location of the asset. And it helps you to retain the customers you have and get new too. It is also possible to automate some customer services and save manpower. Assets maintenance is one of the major issues and disturbs the business in many ways like delay in customer service, shortage of assets etc. With the help of proper asset tracking, you can get time to time updates and also automate maintenance and save manpower as well as time. There are many other benefits of asset tracking like current location tracking, speed alerts towed alerts, working and non-working hours tracking, view history, data, and so on. In short, we can say that proper tracking of assets is required to run a fleet business or a big industry. Myth #1: Tracking leads no belief in staffs! Everything runs on trust in this world. Every organization also runs on trust on its employees. GPS tracking system solution is not to view the activities of drivers’ and it was never aimed to monitor each and every activity of employees. The main purpose of GPS Tracker is to improve drivers’ safety and reduce the vehicles’ operating cost. I protect both vehicles and drivers’ and will reduce your insurance investment as fleet safety enhances. In some countries, it is mandatory for fleet businesses. Myth #2: GPS is a costly investment. It is obvious that return over investment for users of GPS tracking solution ranges 1:10 on average for most of the fleets. You can start GPS tracking for fleet vehicles at a minimum cost per day per vehicle. It is not a big amount and hard to pay for a business. Over the past 10 years, GPS tracking has become accessible and affordable for every people with a lot of new features. Myth #3: GPS tracking is used to punish, and not reward. In the beginning, Employees take GPS tracking in a negative way. They feel it is disclosing the privacy of employees. But the main goal to enhance the safety of drivers’, improve internal communication in team members, reduce fuel cost, and many more. A good GPS solution is deployed to motivate and incentivize managers as well as drivers to words safer, more efficient driving. Now we hope almost all the myths about the GPS are cleared and explained with some advanced features of the latest GPS solutions. If you are running a fleet business or managing same and want to know detail about the GPS tracking device then we are ready to help you. 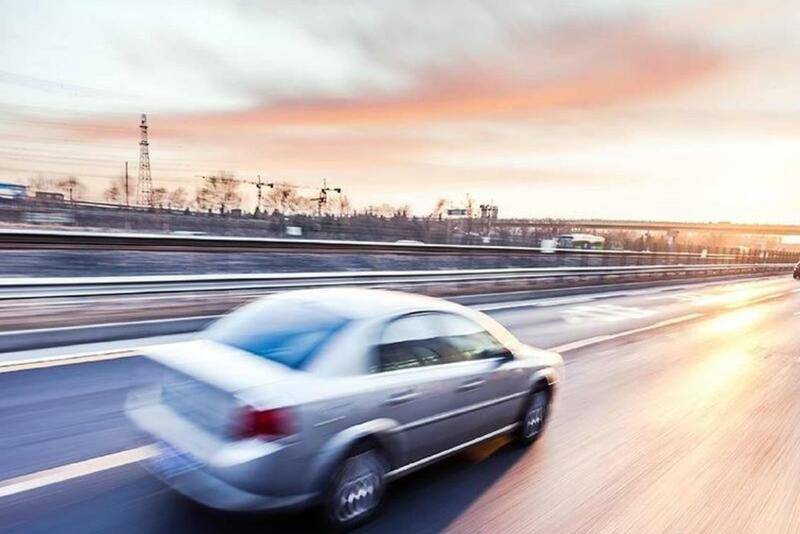 For businesses with a fleet, no matter the size, getting the idea where your vehicles are, when they need maintenance, and how to get the optimal route to reduce travel time and cost of fuel are the main to your bottom line. GPS tracking services are the bundle of a hardware device and software that give you the clear visibility you want to track and manage your fleet efficiency while streamlining your activities/operations, reducing costs and improving revenue. 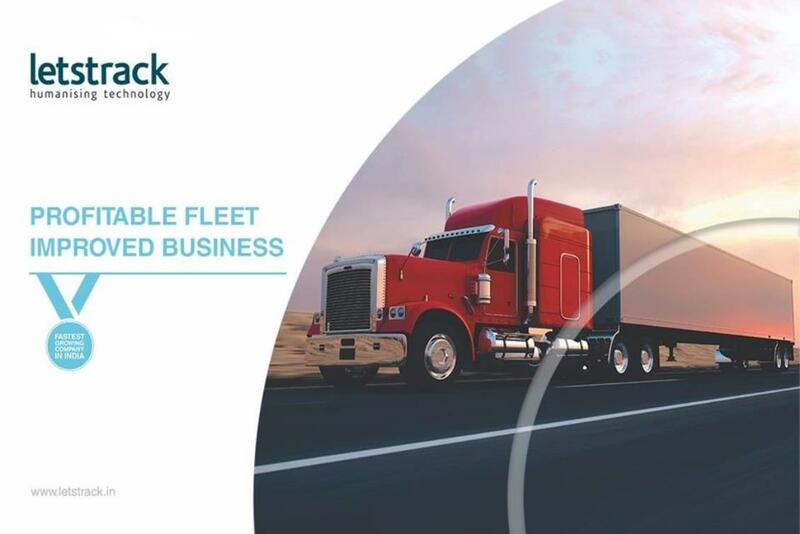 A few years ago, implantation of fleet tracking was a costly investment only made by large organizations; in present, fleet tracking software is more accessible and affordable in marketing so small to big size businesses can implement easily. Before dealing with any GPS tracking service provider you should know some important things about this. If you do not know more about GPS tracking services and want to implement then keep on reading. Here is your buying guide to advise you on what to look for with these services. Additionally, this guide answers you the common questions about the GPS fleet tracking services and basic knowledge about the main features. To avoid these main issues, there are a lot of other critical questions to ask your prospective GPS service provider before signing the deal. Software update- how usually does the software update happen & what will be the cost of it. As technology is growing day by day so GPS tracking software and the device should improve continuously according to technology, requirements and reflect the changes in your industry. There are mainly two kinds of software updates- Quarterly or half yearly or yearly updates-and other is frequent updates. You should know about both of these are and which one is in your case, the fee of update and the channel for the update for you to give feedback on performance. Is GPS software developed by a third party or their own team? A good service provider has their own team to develop the software and device too. If they don’t have their own team then no issue in quality but sometimes you need to wait for customer support. Mean your feedback will fall on deaf ears. Does the provider have relevant experience? Has the service provider have experience in the same industry, business sizes, challenges and requirements like your business? You can get the idea about it by checking their clients’ reviews about products and services, by interacting with existing customers and so forth as proof. How easy integration and compatibility with your other systems? Integration is important for daily operations. Are they multi-users and cross devices compatible? If not, then frustrating and wastage of time. You should discuss all these points with the service provider before buying the GPS tracking services. 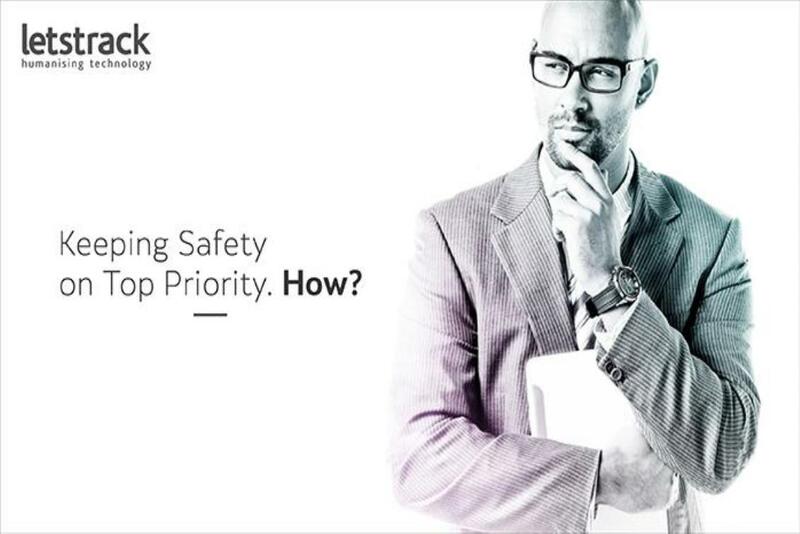 Improved productivity – Keep 24x7 monitoring on field workers and other employees on duty. Customers get alerts when a vehicle on or off. The scope of use of the assets on site ensures them on moving around the equipment &teams between work sites. It's easy to monitor and track on one or several sites at a time. This helps companies in improving productivity. Improvement in scheduling maintenance –Time to time update related to maintenance helps on time maintenance. Reports created by fleet trackers give the idea about the engine hours and usages of equipment that leads the need for their maintenance. Protect Company assets – Present fleet tracking ensure assets can't be theft; Present fleets can have start alerts and geo-fences to confirm them. There is a round of the clock monitoring of all assets and their movement. Reduce Fuel Cost – By monitoring usages of fuel and routes analysis GPS helps companies to reduce fuel cost. You can view mileage report and check the complete utilization of fuel. Save Time and Money – By tracking employees working hours and utilization of vehicles/assets at work site GPS helps business to save time and money. The fleet’s billing accuracy goes up, and there are fewer chances for mismatching with the customers as well as creating is easy. There are many other savings and improvements benefits of GPS trackers for construction companies such as consistency with worksite conditions, Enhanced finding and deploying and so forth. Once you find the right GPS tracking system for your constructing company, setting the system up is not any more difficult since the device has already been well-tested, approved, and ready to use. What you only need is a smartphone or laptop or computer with an Internet connection along with some basic Knowledge of operating them. GPS tracking helps to find optimal route to reduce travel time by using various parameters such as red lights, traffic, distance, accidents, and other road hurdles so that easy to reach or send staffs at required destination. GPS location tracking gives companies the exact position of staffs and assets that help to respond to customers about the expected time of service. It helps to improve customer satisfaction as well as give peace of mind. Fuel cost is one of the prominent challenges for utility companies. As per statistics, they can reduce fuel consumption by up to 30% with the help of GPS fleet tracking solutions effectively. GPS Fleet tracking has been proven to improve the safety of drivers due to the accountability it provides. Unsafe driving leads to an accident and eventually tarnishes the image of the company. GPS Fleet Tracking, which deploys driver scoring and draws attention to unsafe behaviors, will help you improve fleet safety to a great extent. GPS vehicle tracking systems are one of the best solutions for many issues for the utilities companies face in daily routine. No matter, you are a small or a large organization; the benefits of GPS tracking are countless. What do Your Employees think about GPS System? In present days, it is common for company fleet managers and business owners to be hesitant to implementing employees tracking due to the fear of employees thinking that someone is watching them. At start some employees can voice related to their privacy when their organization implements vehicle tracking, however business owner/manager has right and duty to know what is going on behind the scene. With the rapid changes in GPS technology, companies have complete access to their staffs’ current location. For many years, organizations have been able to track their field or mobile employees’ current locations through GPS. With the help of modern technology, companies are able to track locations via GPS App in the employers’ mobile phone. But GPS tracking presents risks organizations need to understand so they can assess whether the main advantages outweigh the significant risks. GPS is becoming an essential part of all types of industries. GPS is helpful tools for businesses to improve communication, management, tracking, route analysis, improving customer service, assets protection and eventually the growth of the organization. Being a business owner/manager, you want to protect your business, including its assets. It has become very clear that GPS tracking could enhance productivity and profits, so a lot of businesses are adopting GPS technology day by day. But the cost and benefits are just part of the equation: a great business owner/manager must also consider what the employees will think about GPS Tracking. As per a survey, employees who have not used GPS tracking tends to have negatives about GPS compare to those who have experienced GPS tracking device. According to the survey’s data, 54% of none-GPS employees told they did not like the technique of GPS tracking. 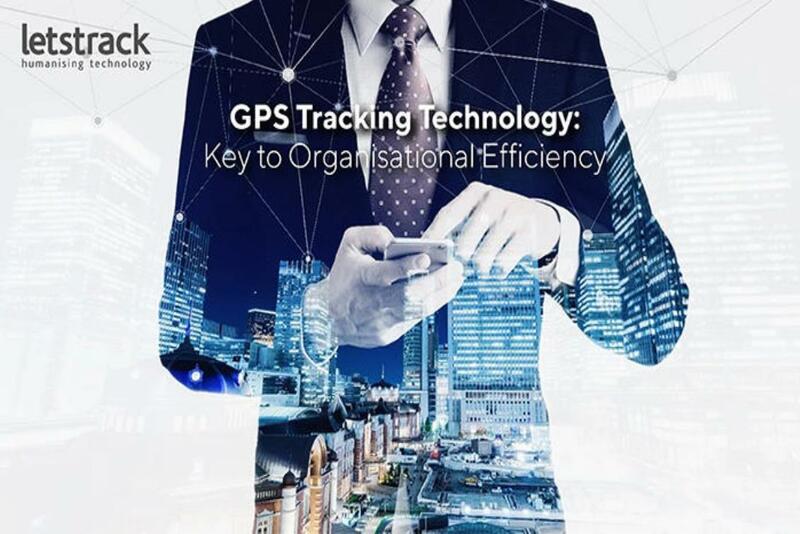 After experiencing GPS the worries of the employees become calm and 54% of the employees who worked with GPS tracking say they do not afraid being tracked by their workplace, and other 9% says they do not like this. So we can say none-GPS staffs are not familiar with the main the benefits of GPS tracking and the purpose of GPS tracking. The staffs that have not experienced the GPS tracking in past, the main concern are related to privacy and trust by their employer. The main objective of GPS users is not the trust and privacy but the main issue is how much data and batter GPS technology might drain from their smartphone. GPS users and none-GPS users do not need to worry about location tracking because it is very helpful in some situations like customer service, emergency and many more. The conclusion from none-GPS users tells us that there is a lack of awareness about the benefits of GPS tracking can have on time to time activities/operations. As per GPS-users, the benefits overcome any negative thoughts related to GPS tracking. With GPS technology set to develop in the coming years, workplaces would able to bear to not deploy GPS tracking. GPS is becoming an important part for organizations because it helps in many ways such as safety, efficiency, and productivity for large businesses. Worried about the legal landscape around the GPS technology? Are you wary about of accidentally, violating employees’ rights & privacy? Organizations need to disclose about GPS Tracker installation and tracking to all the employees into the vehicles or any other places or assets. Employees may dispute, and raise voice against GPS tracking, however, it is up to the organization to their own rights to grow and protect their business. Today, around 50% workplaces track the location of the employees’ with smartphone App. GPS tracking enhances the safety and ensures the daily operations run on time. Fleet Management means to manage and taking care of each and every aspect of a company’s vehicle fleet. Fleet Management has become a main part of the modern business. Managing any fleet of vehicles is a complex & stressful job for the owners or managers of the fleet. Due to the complexity and managing problems Fleet Management software come into the picture to managing and running fleet businesses in a smooth flow. Fleet management software is an important tool for business owners/managers, helping to use real data to take right decisions at right time about their drivers, services, and vehicles that will directly affect the success of their business. Fleet management software (FMS) helps fleet agencies & organizations to manage, organize, and coordinate their service vehicles from a central data platform. The main purpose is to keep the fleet operating smoothly by reducing costs, time, improving performance, and ensuring compliance with government regulations. The primary aim of FMS is to collect, store, process, monitor, report on and export important information about the fleet. GPS deals with long-distance transmission of required data, and in the case of fleet management, data can be gathered from external sources such as gas pump processors, government divisions that control vehicle registration, financial companies, mapping systems, insurance agencies, and vehicle specification databases. To get the maximum advantages of your fleet management and get the high ROI, look for a fleet management software system that offers the following useful features. Modern GPS fleet tracking devices have real-time tracking ability without any time lagging between gathering information and showing it as an update. Be careful, before buying fleet management software (FMS), it is very important to know it should have a system that offers accurate and real-time information within the shortest time interval between data updates. To get the high responsive location tracking, take fleet software that is able to offer updates within very less time and not more than 5 to 10 seconds. A good FMS should have easy data accessibility on multiple devices and independent to the shape and size of devices. It helps as many as a number of users can access the data and on any types of devices not matter is it a desktop or mobile. Fleet management software with a neat and clean, web-based interface also minimizes the complexity of organization IT systems because it does not need the installation of new software on different computers. A mobile-based FMS is one of the best choices and trending in present days for businesses due to easy access on mobile anywhere. A great fleet management software system should be able to automatically record and store a variety of other useful information. Business owners & managers should be able to get the required information on main points like speed, mileage, fuel uses, uses of the vehicle, ideal time, off hours of the driver, maintenance history, and so on. Technology has developed to the point where you can get connected with everyone without any geographical boundary constraints. Over 70% of Indian now have a mobile phone, Internet, WhatsApp etc. that allow us to see loved ones from each part of the country and GPS tracking is changing the way people taking care their assets & loved ones. 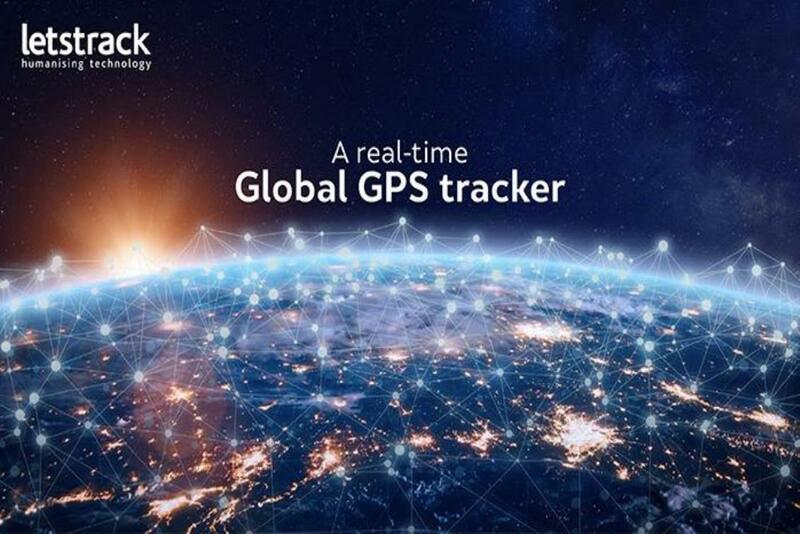 Real-time GPS tracking systems use cellular wireless or satellite communication, providing the users to receive real-time data on the current location of an object/asset. The benefits of owning a real-time GPS tracking devices are many for individuals & businesses. For instance, as a business, you can track your company equipment, employees, vehicles, and other assets. As a family, you can track your kid' whereabouts, your pet, your bike and of course your vehicle. According to market analysis and surveys, around 23% of businesses are using real-time GPS to improve their service response. Besides this, Real-time tracking also increased the company’s revenue by 16.4 %. By installing Real-time GPS tracking devices in the assets give you real-time information about the activities happening in the field. 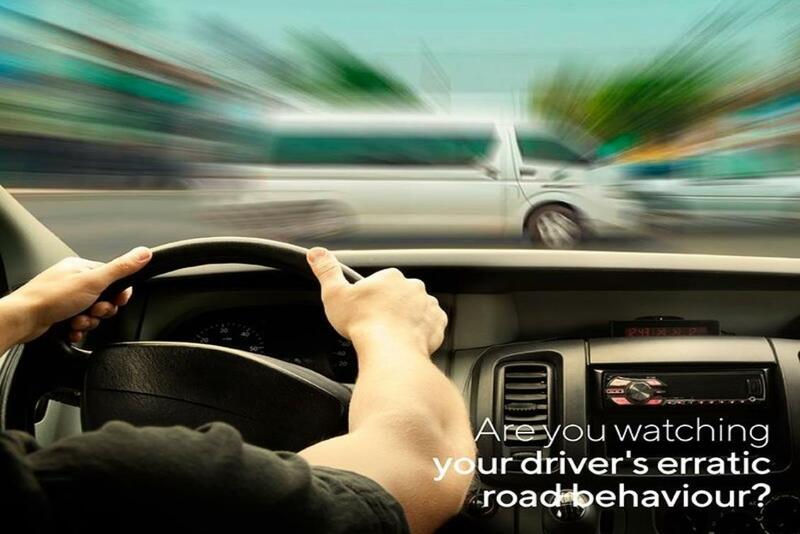 Asset/vehicle is in direct monitoring of you so drivers, employees or other people use good habits due to fear of watching them. If someone did anything wrong you can directly get the update about it and take the right action to improve the system. And get a number of benefits like fewer chances of automobiles accidents, low fuel consumption due to driving within a limit, zone alert, misuse of etc. The best gift you can give teen drivers is a Letstrack GPS teen tracking device. This is a unique gift that not only treated as the gift but also offers many other benefits as well. It helps provide the best route and directions they need as they can get the idea about the nearby locations but also give parents with peace of mind that they can monitor where their teens are and send help to that location according to requirements. Below are the more following ways the GPS device can help you teen drivers. This feature will enable you to locate your kids in real-time as they move. This will enable you to keep an eye on your kids 24/7 and you can stay relax at all times. Letstrack GPS tracking device comes with an SOS button. In case of any emergency by just clicking on the button an alert with sent to pre-saved numbers. This is will keep the help just one click away from your kids. You can set a geofence for your kids this will enable you with an alert feature that will notify you each time your kids has crossed the geo-fence preset by you. This feature will keep your kids away from the roads with you don't want them to drive on. 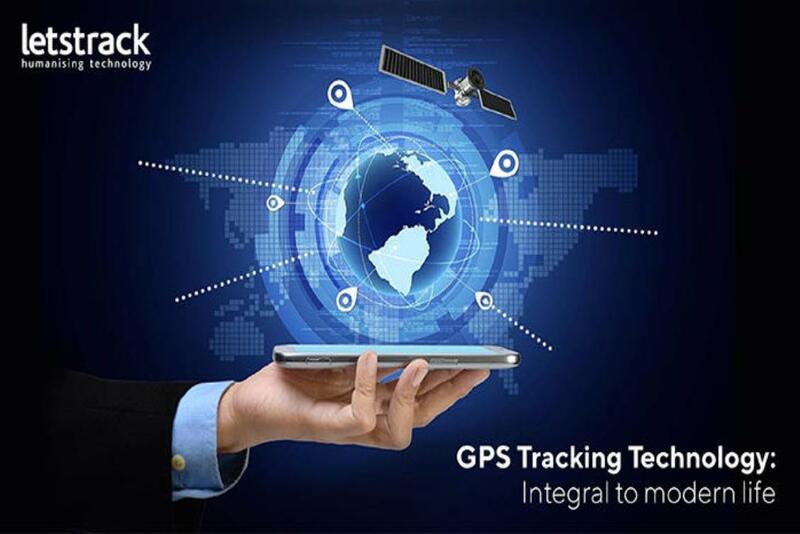 Letstrack GPS tracking is one of the leading brand in market and with it cut-edge technology it bring all the solution to your daily problems and keep your loved ones safe. Maintenance and repair of fleet vehicles play a very important role in fuel cost cutting. If fleet vehicles are well maintained then consumption of fuel will be low. If not then it will be very high. For this reason, fuel costs are going to hike and eventually impact the company’s revenue. Regular repair and maintenance of fleet assets are must to reduce fuel consumption. Qualification of staffs’ mainly drivers’ also very important for high fuel cost. If drivers are not well qualified, they are likely to idle or even lose directions from time to time. They do not have the right direction from their head and hence they need to spend more time moving to and fro from the exact destination. Speed Alert/Tracking – Driving vehicle above a speed limit increase the consumption of fuel and eventually fuel cost. With the help of GPS, you can get an alert if the vehicle crosses the speed limit. It will help you to take the right decision at right time. Misuse of Vehicle - You can track the location of vehicles anytime so no chances of misuse of the vehicle and extra uses of fuel. Monitor Laziness of Drivers- Current Location Tracking - Right route will help in many ways to reduce fuel cost. If a driver does not take assigned route you can know about it by vehicle location tracking feature of GPS. For a heavy and expensive vehicle like Log splitter, a GPS device is very mandatory. Not equipping these heavy vehicles with GPS device can be a costly mistake because theft of such a vehicle will put a company in operational trouble, getting a new one is a time-consuming process. Big size of the log splitter is the main problem for a thief after stealing it. For this, they cut the chain of the stolen hydraulic wood splitter and put it across a home depot parking to secure the splitter. There are lots of stories published in newspapers about the stolen of wood/log splitters and all have one common thing that is the high cost. So businesses that use or sell this kind of equipment must use Letstrack GPS devices to protect them. Letstrack enables you with the engine cut off feature. If your Log splitter is stolen then with just one click you can cut off the engine. This gives your command centre complete control over the vehicle and the best way to recover the vehicle in case of theft. This is the feature that will give the live location of the vehicle as it moves. This is the only feature that can keep you update about your vehicle whereabouts 24/7. A feature like this can not only prevent theft but help in recovering the stolen Log splitter quickly. Letstrack GPS devices are the best in the market and leading GPS tracking company in Asia. 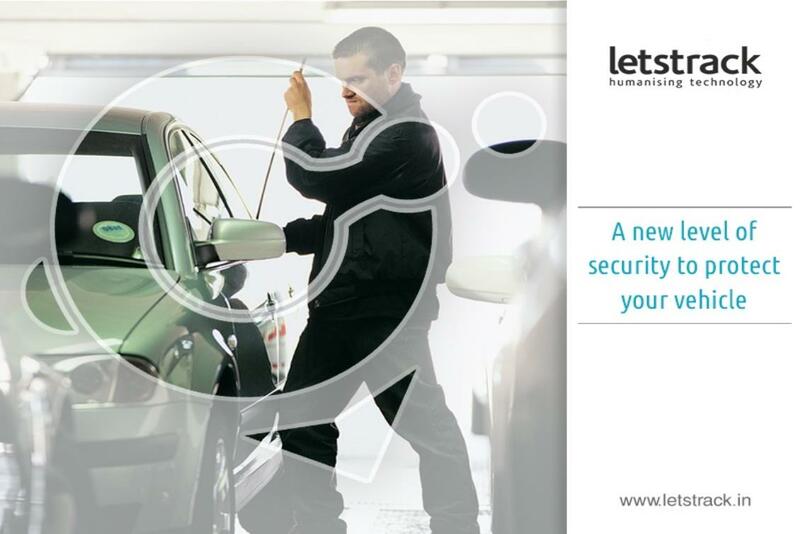 Our devices will keep your assets and vehicle protected and customer care team will support you in the time of need. Call us at 78278 22000 to for a free trail. Most fleet managers and owners are looking for a unique way to reduce downtime for their planned and unplanned vehicle downtime - or vehicle off-road time. Random vehicle downtime creates a lot of problems like your employees can’t work, delay in delivery/service, customers’ dissatisfaction, productivity, and loss of money etc. Reduction in downtime also helps small increments as well as lead to good management of fleet in various ways. Keeping all these issues in mind we are sharing some tips to reduce downtime in fleet businesses. Pre-planned regular maintenance and repairs for vehicles is a good way to eliminate the downtime of an asset. Because maintenance and repairs take the vehicle out of service so you can schedule these activities in out of working hours that helps a vehicle to less maintenance during working hours. Another way to reduce downtime is the use of right vehicle means that fulfill the aspect of service like if you use a small vehicle with more loads that can lead downtime. First check, the amount of payload and gross vehicle weight required for the particular job. Ignoring this can lead to excessive breakdowns & downtime due to engines repair, brakes, tires, and so on. Sending alerts to detect bad driving like speed alerts, high acceleration, hard brakes etc. 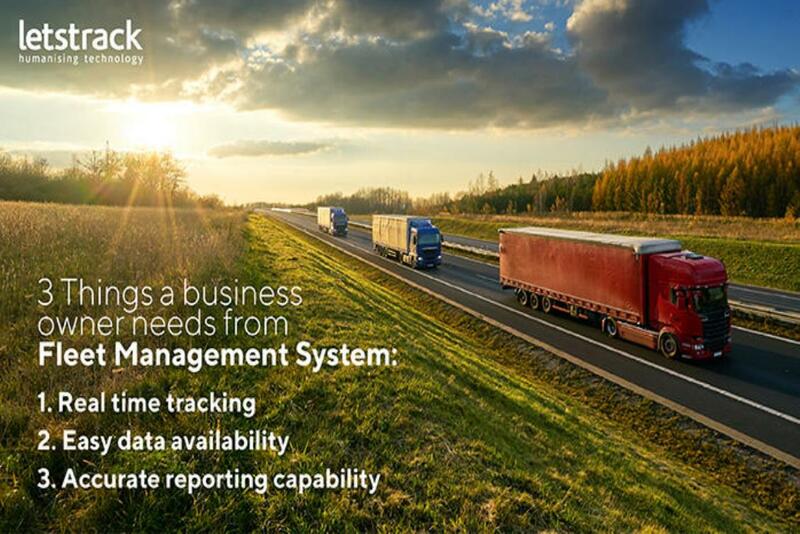 So as stated above, there are many benefits of GPS tracking to reduce fleet downtime. One of the main benefits of measuring downtime is to make drivers more responsible for it. More careful staff for assets they drive, the more they are likely to continue to work with them in a successful way and avoid trips to repair shop. So a reduction in downtime for your fleet vehicle is crucial in keeping profits up and cost-cutting. Tire blowouts are frightening, dangerous and can happen to anyone. Staying prepared for any kind accident is the sign of true smartness, tire blowouts can't be taken carelessly because it can cost lives. A driver should know the things to do in case of tire blowouts and how to drive the vehicle to the safe side of the road. It is very common that in a scenario like a tire blowout a driver might start panicking or overreact to the situation. A GPS tracking device can be the key to save lives in this case as it can help the driver to communicate with the loved ones & authorities by notifying them and sending your current location. 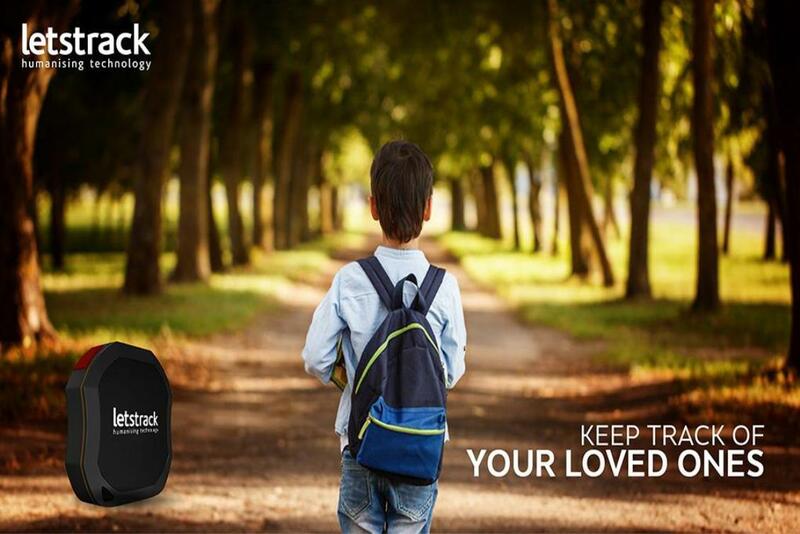 Letstrack GPS tracking device is equipped with an alert feature, where the loved ones are notified in case of emergency. The device will automatically send an alert message on the set number. Sending just an alert of the incident is not enough, so the GPS device will send your current location. With the location of your vehicle in hand, help can be sent by your loved ones. If the GPS device fails to notify your loved ones automatically, no need to worry. Just use the option of SOS button on the application which will send a notification to your loved one with your current location. Having a GPS tracking device in your vehicle can save you from a whole of trouble, not just the tire blowout. It can notify the loved ones in case of an accident. Also, a GPS device can help you to keep track of your loved at all times as they move in the vehicle. You can also monitor the speed of the vehicle at which it's being driven and the device will notify you in case over speed. Fleet management is a costly business. Operating a fleet needs smooth cash flow and there are a number of factors will adversely affect the cash flow. Tracking the ROI is crucial and can help in saving costs and reduce expenses. Poor route management, unauthorized use of a vehicle & etc are the few examples of unnecessary incurred costs. 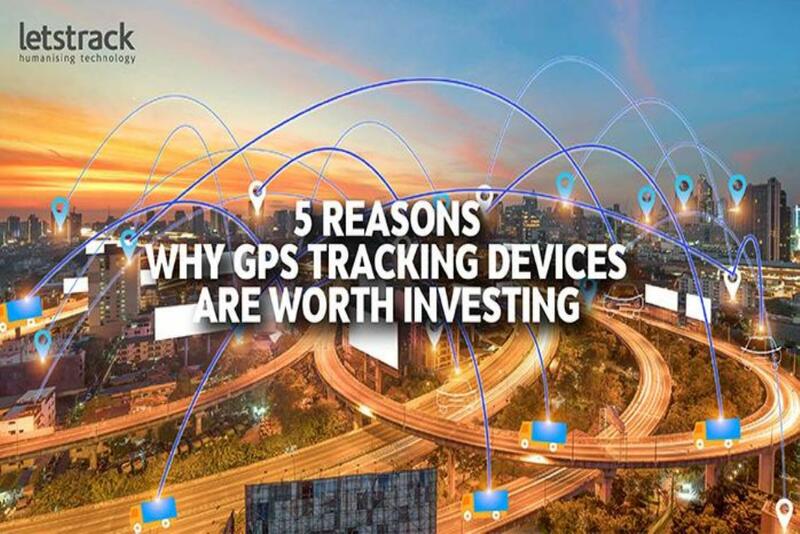 Installing a GPS Tracking Device in every asset can help in monitoring the ROI; also connecting your assets with internet will provide you with the valuable insights. With a GPS tracking device, a business can lower the service cost, fuel usage & enhancing the productivity of the fleets. When drivers recognise the fact that they are being monitored and every route was taken by them then the efficiency of drivers increases rapidly. The regular monitoring of a vehicle can result in lower maintenance costs. GPS tracking device can keep all the everyday record of driver's login and log out timings. It can also record the number of times the driver has ten breaks during the journey. False information can be caught in a timesheet if a vehicle is at an unauthorized location. Simply, you can set a geo-fence which will notify you each time the vehicle enters into the prohibited location. The same can be done in the case over speed, admins can set a speed limit, so whenever a driver crosses the set speed limit, the GPS device will notify the command centre immediately. There will be a number of cases when a driver will need support from the command centre. A GPS tracking system can make the support process easy as the device will show the live location of a vehicle or in case of an accident, the device will notify the command centre and help can be sent accordingly. A reliable & an advanced GPS tracking system can do more than just saving cost and enhance. It can create a sense of responsibility among the employees and will spread the positive attitude among the employees. 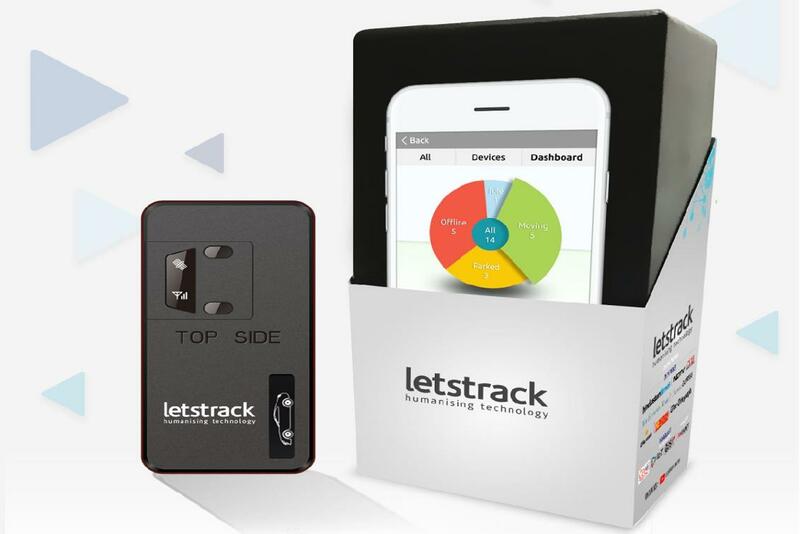 Letstrack's plug & play device grants enhanced features. It can be practiced to track a truck, car, bus and other valuable assets. Just attach the device to the OBD port of the vehicle under the dashboard. Our advanced GPS tracker offers loads of data including Fuel usage, real-time tracking, engine status and helps in enhancing the route plans. Letstrack advanced system provides valuable insight that helps businesses in forming strategies. Also, our GPS tracker gives better control over the assets by sharing the precise location of assets. With monitoring & better control over assets assures efficient use of assets and help in avoiding theft or perversion of assets. When a business gets an accurate report, a lot of work for the management gets easier. Letstrack tracking software provides a report presenting complete insights of a vehicle like routes it has taken, how many times vehicles stopped during its journey, fuel consumption, the time it took to reach its final destination & etc. 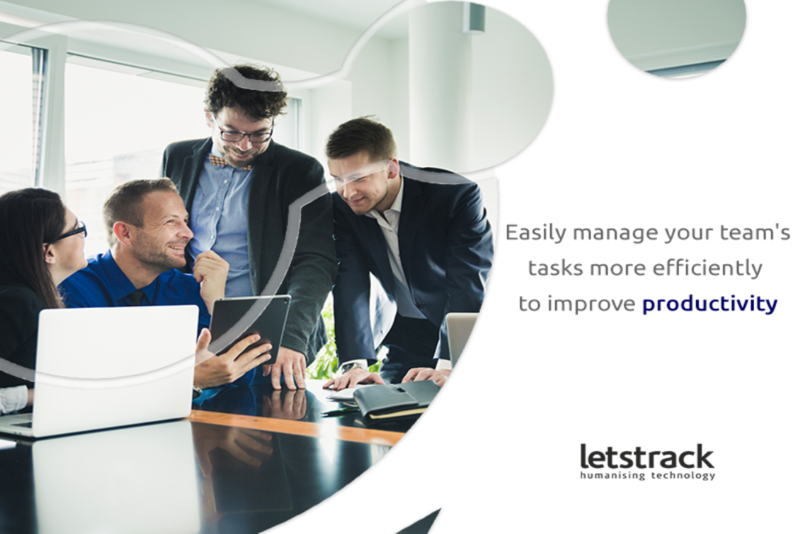 Occupying reports with these insights benefit management a lot, with corrective measures efficiency can be enhanced. Also, our GPS system enables its users to see the history of the vehicle. Real-time tracking is the moving dot on the map. Basically, a GPS device shares the live location of a vehicle as it moves. This gives the command centre a better control over the driver & vehicle, any alteration in the plan can be communicated to the driver. Geo-Fencing is a perfect method to assure that a vehicle stays inside perimeter set by the management. 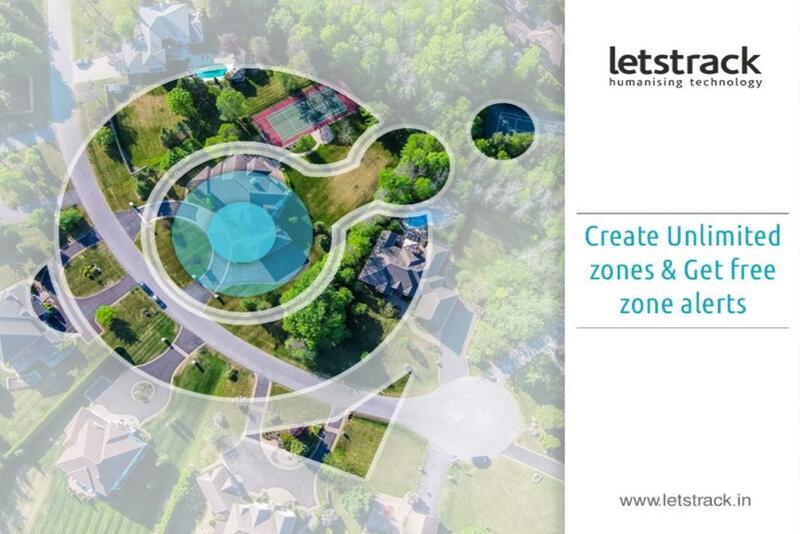 Zone alerts is a feature that alerts the command centre each time a vehicle trespasses the set perimeter. On the other hand, speed alert notifies the admin whenever vehicles over speeds. Every business wants their vehicles and driver stay safe but sometimes to reach the destination on time driver over speeds the vehicle which can lead to increases the chances of the accident. So, speed alert is a feature that will alert the command centre if the driver crosses the speed limit set by the management. The string of customers and distributors is enormous & scattered across the nation. To serve that spread chain requires a GPS tracking device with advanced software. The intact distribution system depends upon the delivery of products on time to match the competition in an FMCG market. Failure to deliver on time can lead not only loss of business but also can end up losing the customer as well. Wholesale distributors use vehicles to transit the products to outlets & they lack the technology that can help them to track that vehicle or its whereabouts or the routes it is taking to deliver the products. Delays can happen due to many reasons, but the exact reason is hard to find because a driver will never admit his fault. This key feature enables distributors to track their vehicles as they move, providing the exact location of the vehicle and on the route currently vehicle is on. The distributors can improvise with the route plan according to the scenario if they know the whereabouts of the vehicle & urgent orders can be entertained by sending the closest vehicle to the delivery point. When it comes to delivering in the remote areas of the country, the task becomes tough because of the poor connectivity. Letstrack GPS tracker are covered by a GSM frequency band of 850/900/1800/1900MHz. This means that even the remotest part of the country you can never lose track of your vehicle. It has been seen in a number of cases that in order to deliver on time, drivers do over speed which is an open invitation to accidents. With Letstrack GPS device you can set the speed limit of your vehicle. If the vehicle exceeds the set limit then it immediately notifies the command centre. See the average value of fuel consumption, average distance travelled, average speed and so much more on this screen. 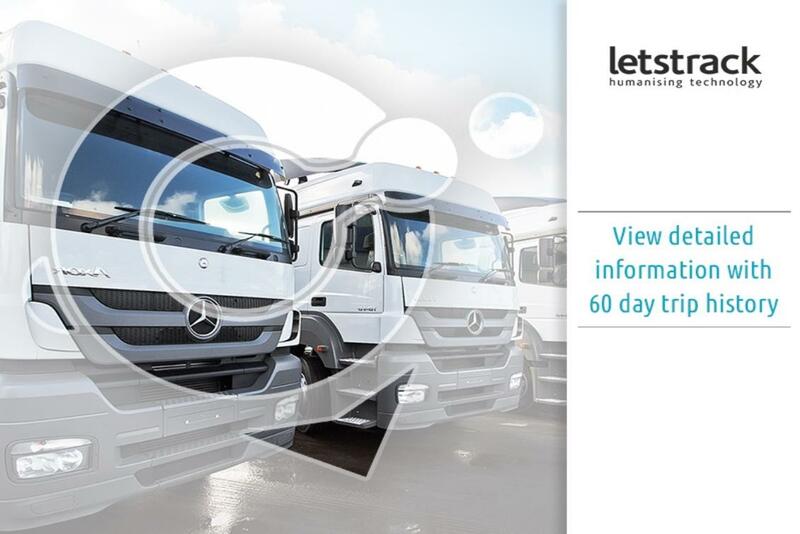 This fantastic feature enables distributors to save money by seeing key data linked to each vehicle they want to track. Letstrack devices has a unique feature to store offline GPS data, which means it will store the tracking device locations even when the device is offline (GPRS unavailable and GPS available) & post the offline historic date to sever as soon device is online and connected to GPRS. This means you can never lose the vital data of your vehicle. The information graphs add extra content to value screen. Being able to view extended data through easy to read graphs and other graphics gives a fantastic visual aid to maximize the use of all the features Letstrack offers. View information like distance travelled, average speed, maximum speed, engine on time, average stop time and number of stops. GPS technology has done wonders for transport companies. Every company has exploited this technology to gain the advantage over the other. Whether companies are with a big or small fleet, this technology has opened doors to new opportunity for every size of companies. GPS technology has improved efficiency, reduced cost & helped companies to provide better customer service. Idle time cost a lot of money to companies. It occurs mostly when a vehicle is stuck in traffic & also when the vehicle is parked and the engine isn't shut. Idling can damage the engine, exhaust system, spark plugs and cylinders, it is recommended by the experts that if a vehicle is idle for more than a minute then it should be turned off. Letstrack GPS devices can track the idle time and businesses can provide better training to drivers to save fuel cost. With a feature like real-time tracking enables companies to monitor their vehicles as they move. In a number of cases, it has been seen that to reach a location in time drivers tends to over speed which is an invitation to accidents. Letstrack GPS tracking devices give you a feature to set a speed limit so, whenever a driver crosses the set speed limit it will notify the command centre and then necessary actions can be taken. Vehicles require timely maintenance and a well-maintained vehicle is highly efficient and saves cost & time. Letstrack GPS device notifies the command centre about the regular maintenance it requires. These alerts are based on the amount of time and engine has been on. Letstrack GPS device shares live data of the vehicle which reduces the chances of rash driving by the driver. Also, if drivers know that they are being monitored, they drive responsibly than usual. Hurry! Download app or call us at 7827822000 for free demo. Every parent keeps the safety of their kids on top of the list of everything & sending them to school is the hardest part for parents, it is the only place where parents can't keep an eye on their kids by themselves. At school, management and teachers are responsible for the safety of kids and keeping an eye on so many kids is not easy but at school, adequate staff members and security cameras play a vital role in keeping kids safe. A school bus is the only vulnerable place where chances of accidents are higher than any other places & it's hard to keep an eye on the school bus for management. This is where Letstrack GPS Tracking System plays an essential role by helping parents and school management in transiting the kids safely from school to bus & vice-versa. 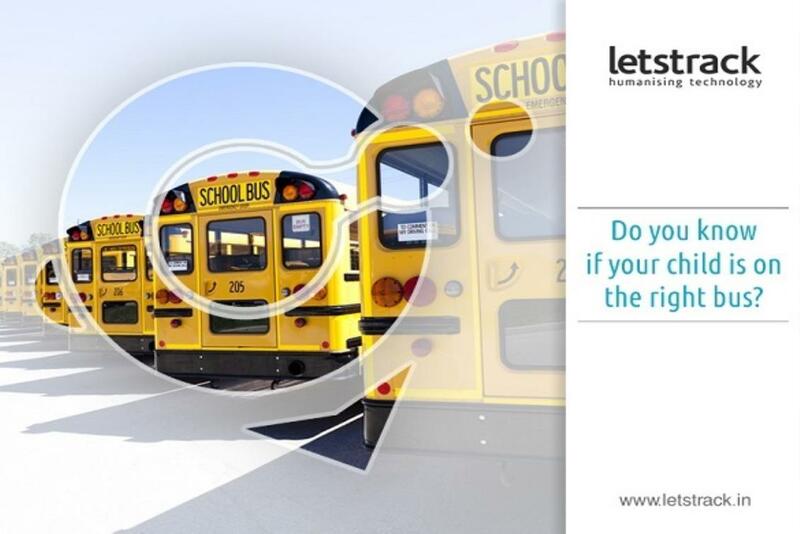 Letstrack GPS devices are simple to install on school buses. The device helps in monitoring school bus & driver behaviour. Safety has to stay on the top of everything when it comes to kids. School buses should be equipped with GPS devices to deal with any kind of emergency. Letstrack GPS devices play a significant role in emergencies; it automatically notifies the authorities with vehicle location. GPS tracking devices can benefit both parents and school management in many ways. School bus consumes a lot of time and if routes aren't planned smartly then more time will be wasted. The school management needs to make sure that the transit time of kids from school to home & vice versa should be short and precise. Letstrack GPS can help in finding out the best routes which can lead to saving time. Short routes mean kids spend less time on the bus & the less time they are on bus the limited are the chances of happening any accident. Well planned routes lead to fuel-saving which means low cost for schools, also schedules for maintenance is notified by the Letstrack GPS device. Timely maintenance of vehicle leads to saving more cost and reduces the chances of the vehicle breakdown on the road. Delay in reaching home or school can cause worry for the parents. So, GPS tracking can remind the timely maintenance to driver and management. Monitoring driver is very important after all they are human & humans do make mistakes. Few driver habits like rash driving to reach on time, engine running idle time to time and etc. These so-called habits can cost to schools and invites to accidents as well. Letstrack GPS device helps to keep an eye on driver's behaviour and in time of emergencies, a driver can be easily contacted to provide help. Letstrack GPS device records everything; it notifies the admins each time engine starts. 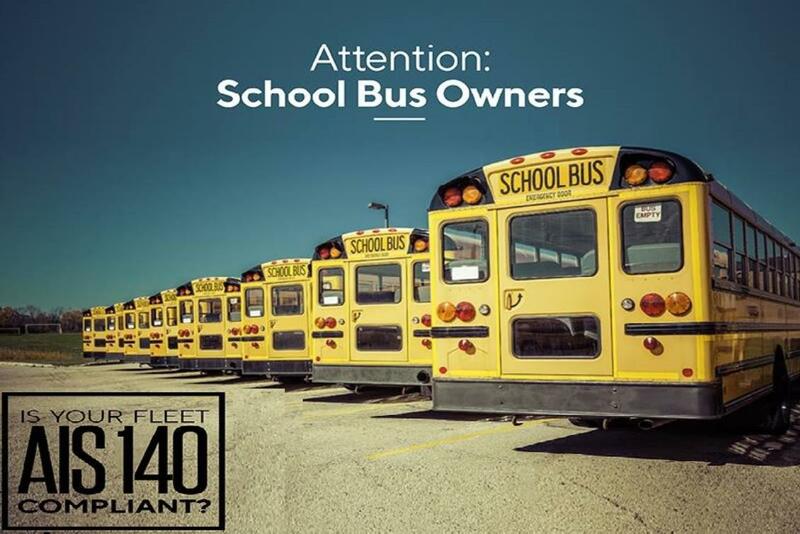 This can help in preventing the unauthorized use of a school bus. GPS tracking devices have been proving its worth for a long time now, but still, a lot of people doubt its ROI. They are still afraid that this complicated technology requires extensive investment and cost-incurring training. Those days are gone when GPS technology was complicated and required some substantial investment but these days this technology is very much affordable but it for big or small business. The use of a GPS device not limited to just business purposes now people are using GPS devices to keep track of their loved ones. Just imagine the mass of paperwork, resources and cost you have to incur to manage a newly added vehicle to your fleet. Well GPS tracking device can cut down that paperwork cost and time and delivers all the information of your vehicle with just a few clicks. With GPS tracking devices you can track your vehicles in real-time, it notifies you in case of rash driving, you can keep track of the number of times vehicle was stopped and for how long. This helps in improving efficiency and advocates in preventing misconduct. Also, it helps to save fuel cost as you can plan out the route and making sure that your driver follows that route. Keeping track of vehicles ensure that there will be no misuse. Also, it enables you to monitor the driver behaviour which is very vital nowadays as there are a number of factors that can distract the driver and a distracted driver is an invitation to any mishappening. The GPS tracking device will enable you to save the administration Cost, it also, prevents drivers from being overpaid. All the data is stored on a cloud automatically, the chances of wrong report & timesheets are discarded. There will be no need to run an investigation in case of false information is submitted by employees. All data is accessible with just a few clicks, the complete history of vehicles and when was it on the field and how efficiently it has been operated. Call us at 7827822000 for a free Demo. The rental business is picking up in India and a lot of new companies are coming up with attractive offers to scale up their vehicle renting business. But, this business is quite risky as you are letting strangers borrow your vehicles and chances of misusing them are no less. So, how to overcome such challenges and ensure the safeguard of your vehicles? Letstrack GPS Devices brings a solution to all your rental business problems. Today, we'll be discussing the ways a rental business can avoid risks & be more efficient with the help of Letstrack GPS devices. Live Mapping allows rental businesses to monitor better, they get the information like which of their vehicle is available, rented or stolen. The feature of installing a GPS device is it gives you the location details of your vehicles and you also, track them in real-time. 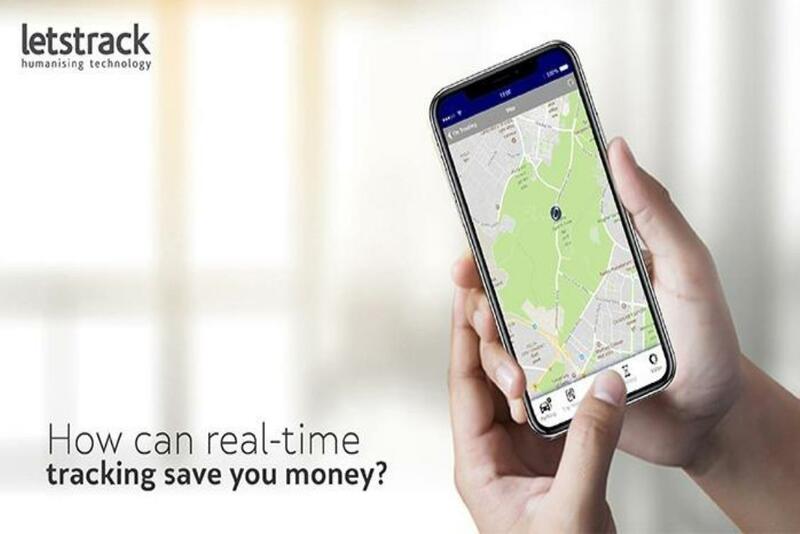 Letstrack tracking app enables you to create zones for tracking your vehicles, this feature is for those rental operators who want to limit the states or regions their vehicles can travel. The GPS tracker alerts via text or mail every time your vehicle enter or exit the specified area. This provides efficient tracking for rental businesses. A lot of rental businesses like to set the speed limit to avoid any mishappening. With Letstrack GPS tracking devices you can set your own speed limits and get alerts whenever it is exceeded. If you want your rental vehicle business to excel and maximize its profits, get Letstrack GPS device today. The device will improve the asset monitoring and the vehicles having GPS devices gets discount at the time of Vehicle insurance. 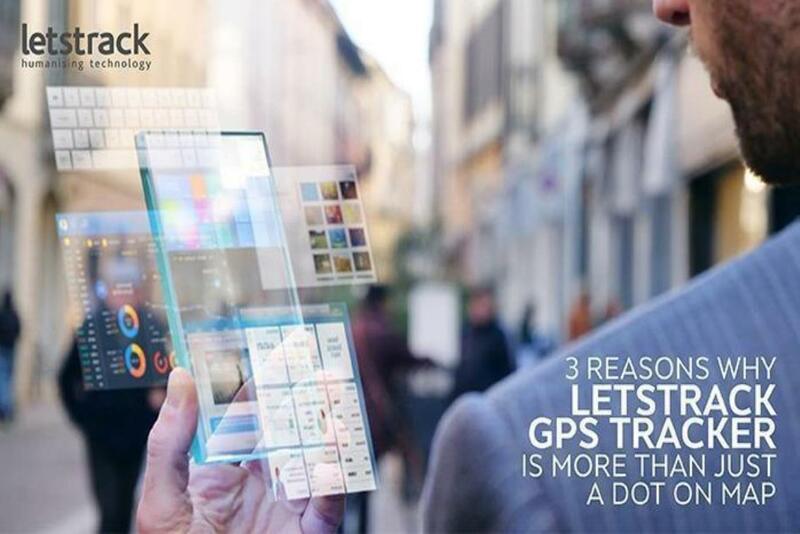 So, Letstrack GPS device saves costs & protects your business from all possible mishappening. The popularity of GPS tracking devices has increased in the past decade. The technology has found a multitude of its applications across the industries. The main utility of a GPS tracking device is to gather the real-time location of an asset. Nevertheless, the difference between a good quality & low-quality GPS device is the way it transmits the data to the server & how & what type of data reaches to the user. There are multiple GPS devices in the market & a lot of them offer more or less similar features but some brands’ GPS device tend to be more expensive than others, though compromising the quality of device for low cost is a bad idea because your personal safety or business depends upon the quality of device’s functioning. A low-quality device might end up providing you with irrelevant data, so go for the device not by just its cost but also the quality & features it possesses. Another factor that plays a crucial role when buying GPS device is how a device user receives the alerts & notifications. In case of emergencies, this feature turns out to be very important as a real-time alert can help in saving life & money both. The GPS system must allow the management to track the vehicle even when they are not online. The quality of mapping is crucial as it allows you to zoom to street levels, also providing multiple views such as satellite, bird’s eye & street maps. A quality GPS Tracking system must have must provide quality mapping, as accuracy & up to date mapping is very important especially in case of businesses. Another important factor that needs consideration is the ability to prevent theft of a GPS device. A device that provides real-time tracking is suitable to prevent theft as it continuously updates you the location of the vehicle, hence making it easy to keep your vehicles safe and protected from theft.